We Proudly Present Our 2015 Grant Recipients! 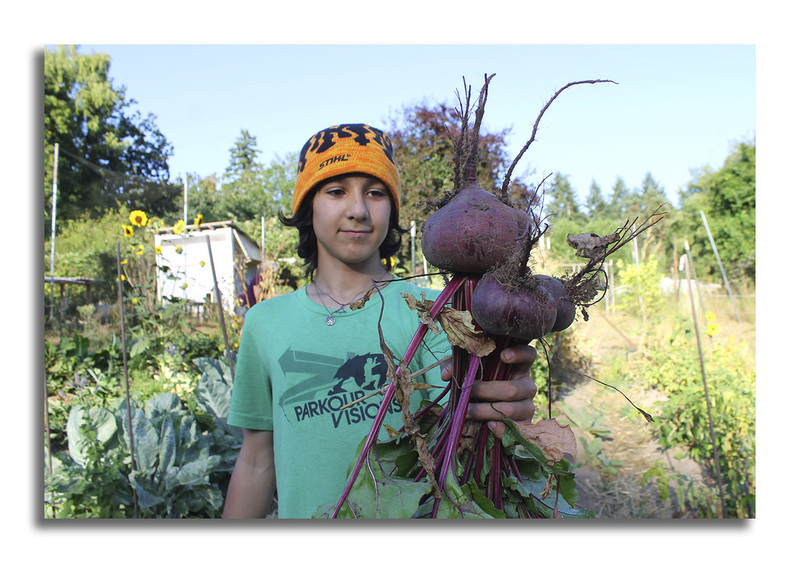 Read more about Vashon Island Growers Association. Women's Ordination Worldwide 2015: "Gender, Gospel & Global Justice"
Kelly Ann Brown Foundation was invited to attend the Women’s Ordination Worldwide (WOW) weekend conference in Philadelphia that took place September 18-20, 2015, and was scheduled just prior to the U.S. visit by Pope Francis. WOW is a “global advocacy network that works to affirm women as fully human.” The Catholic Church participates in the continued discrimination of women around the world by denying their full equality in the Church. Katherine Hannula Hill and I attended on behalf of KABF. This was WOW’s third conference in fifteen years. Five hundred women and men from around the globe met to discuss issues of gender equality and the rights of all including, the LGBTI community. Read more about WOW. "During the (Pathstar) application process," said Ms. Martinez, "each tribal member signs up to be a health ambassador to their communities, committing to make healthy choices for themselves and promoting healthy lifestyles. It's not just for yourself. It’s for friends and family, doing what you can to prevent diabetes in Indian Country." Read the full ﻿write-up﻿ here. With mandatory sentences and a “throw the book at ‘em” mentality, many people will grow old and die behind bars. We at the Kelly Ann Brown Foundation are grateful for people like Jamey Boudreaux who daily provide compassion and care to the least among us. 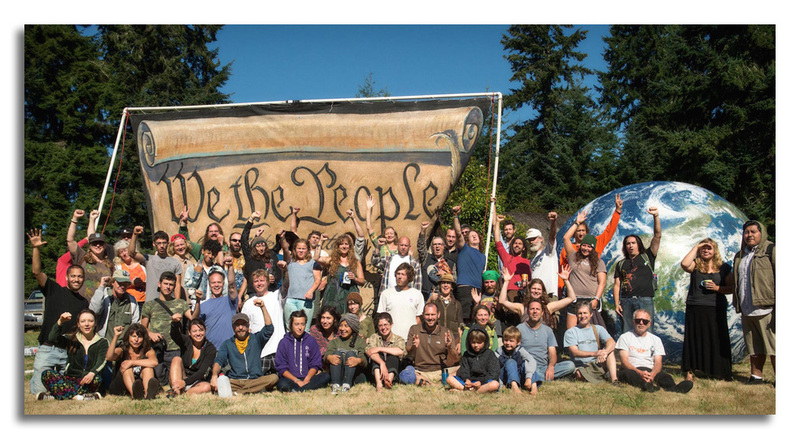 The Vashon Wilderness Program (VWP) began in 2007 with the desire to cultivate relationships between self, community and the natural world. Scholarships were immediately offered to all interested youth, ages 4-17, so that no child would be excluded. VWP’s programs highlight nature as our teacher. Their research shows that teaching children in nature about nature is crucial to developing the whole child. Children grow inwardly, recognizing their own value as they learn to appreciate and study the great outdoors. Click here to see how Kelly Ann Brown Foundation supported VWP's important work in 2015. In 2013 Kelly Ann Brown Foundation gave a grant to CIS, a nonprofit in El Salvador, to help purchase a building on Isla Tasajera to be used as a women’s sewing cooperative. KABF gave money for school scholarships for women and children on the island as well. The women there are often the sole bread-winners for themselves and their children. Read more about CIS here. The non-profit BookMentors has a simple mission statement: Connecting donors directly with students and teachers in need of books. Behind this simplicity belies a disgraceful truth: Children in our public schools are in dire need of books. Read and access more information about BookMentors. Read the full Backbone Campaign write-up here. Helen Young is a documentary filmmaker currently at work on a new film entitled The Nuns, the Priests, and the Bombs. 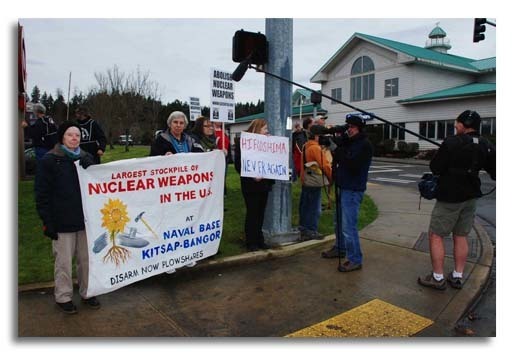 The film follows five peace activists, including 2 Catholic nuns in their eighties and Father Bill Bichsel or “Bix” as he is known by his friends, as they wage their own war on nuclear weapons. Click here to read more about The Nuns, the Priests, and the Bombs. The Center for Gender & Refugee Studies (CGRS) was the brainchild of San Francisco law professor Karen Musalo. CGRS works to protect women and children seeking protection and asylum from gender-based harms in their countries of origin. The work CGRS does includes mentoring and training pro bono counsel for people accepted as clients of CGRS. This expertise and assistance has led to many successful protections that often include securing asylum in the United States. 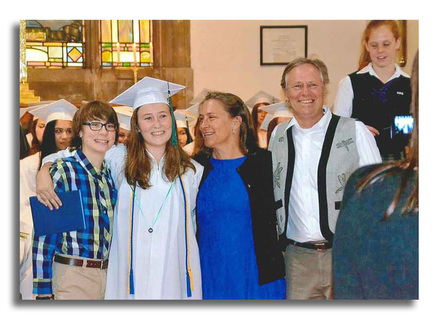 In 2012, KABF gifted the Kelly Ann Brown Foundation Endowment Fund at Annie Wright Schools to allow funding in perpetuity for the Kelly Ann Brown scholarships. Our first Kelly Ann Brown scholar was Elly. Elly just graduated from Annie Wright Schools June 5, 2015 and is looking forward to entering college at Willamette University. Congratulations Elly! 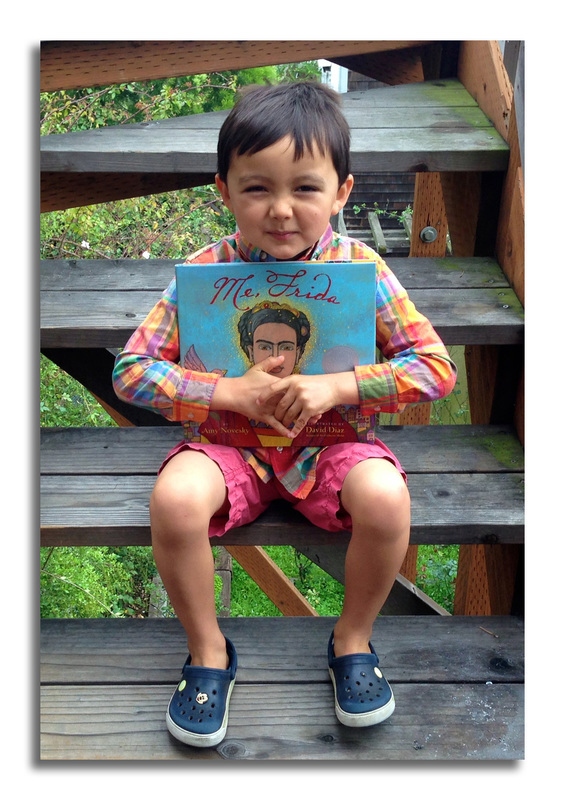 Read more about Elly, and KABF's commitment to AWS. El Centro de la Raza is a nonprofit organization whose mission includes building unity “across all racial and economic sectors, to organize, empower, and defend our most vulnerable and marginalized populations and to bring justice, dignity, equality, and freedom to all the peoples of the world.” Among all their other work, El Centro has operated a free food bank, run a preschool named after poet and activist José Martí, prepared hot meals for neighborhood seniors, and offered a poetry writing class for teens. 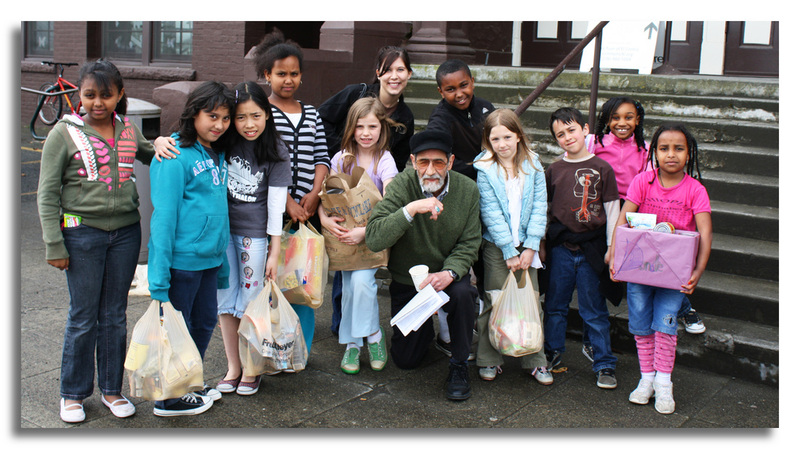 Read more about El Centro de la Raza and learn why it's become one of our favorite nonprofits!